With decades of success, the IT Show connects the industry and enables the IT and Consumer Electronics innovations to grow and thrive. 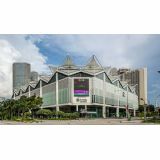 With more than 830 exhibitors occupying over 350,000 square feet of exhibition space, it truly is the LARGEST I.T, Digital, Mobile and Consumer Electronics Exhibition in Singapore. 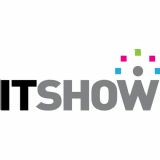 The IT Show serves as the largest information and entertainment platform where consumers come face to face with the latest innovation technologies from world renowned brands.